No country is able to tarnish Iran-China relations, Iranian Majlis (Parliament) speaker Ali Larijani said. Larijani made the remarks Wednesday in a meeting with chairman of Iran-China parliamentary friendship group Li Xueyong. Appreciating China hospitality, he said relations between the two countries date back to over 2000 years ago. 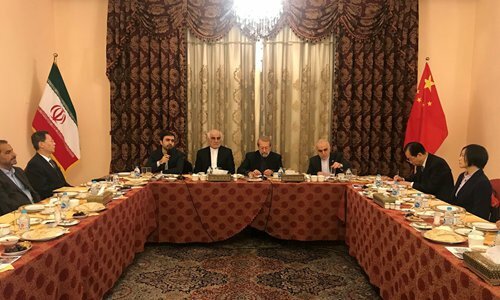 Meanwhile, Li said presence of representatives from all parliamentary commissions in Iran-China friendship group indicates the importance of ties between the two countries.Larijani arrived at Beijing Monday night. Some Iranian ministers and senior officials, including Foreign Minister Mohammad-Javad Zarif, Oil Minister Bijan Zangeneh, Finance Minister Farhad Dejpasand and Governor of Central Bank Abdolnaser Hemmati are accompanying Larijani in the visit.